Ajwain by Shubhlaxmi Industries. Supplier from India. Product Id 692042. 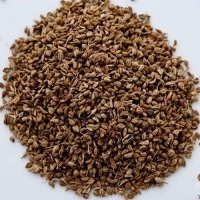 Ajwain (pronounced aj'o-wen) is a member of the Umbelliferae family, which has some 2,700 members including dill, caraway and cumin. It is mostly found in Indian cooking, where it is also known as bishop's weed or carom. Ajwain is a herb also known as Bishops Weed. This beneficial herb is used in culinary process as spice as well as a major ingredient of different kind of medicines. 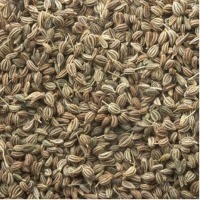 Ajwain seeds are small in size but taste hot, penchant and bitter. It acts as good appetizer, laxative and stomachic. It is used as effective remedy in managing ailments like vomiting, mouth diseases, pile, treatment of ascites, abdominal tumor, abdominal pain etc. It is one of the important herbs for Indian kitchen to make the Indian cuisine tasty. All the parts of this herb have very strong smell; hence it is called Ugragandha in Sanskrit. Ajwain has many health and medicinal values. It is well known seed for Instant Remedy for Stomachache. The seed, oil, flowers and extract are used as medicine for various diseases. It is also one of the potent medicines to kill worms. It is extremely beneficial for Earache, tooth ache, Influenza, Heart problems, Arthritis, Nasal blockage. It has alcoholic qualities in a very mild form; therefore, it may be used as instant stomach pain. Ajwain +small quantity of salt, when sip with warm water is quite beneficial for indigestion and stomach pain. The person suffering from indigestion and anorexia, 1 tsp. 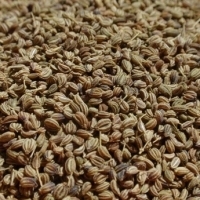 of Ajwain seed may be taken along with food. The top health benefits of Carom seeds are: - Ajwain seeds increase gastro-intestinal secretions which enhances the efficiency of digestive functions. 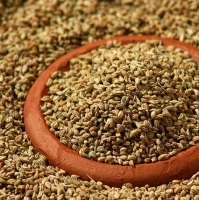 - Ajwain is effective to stomach pain. Having the problems of flatulence, indigestion and gas release, take 1 tsp. of ajwain along with water for one week - Thymol, the essential oil extracted from Carom seeds are used as anti-bacterial and anti-fungal. 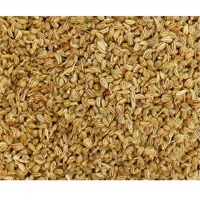 - Ajwain which contains the highest percentage of Thymol is used as antiseptic and in the treatment of cough and asthma. - Carom Seeds are effective for respiratory problems such as common cold, cough, bronchitis and nasal congestion. Savaliya Agri Commodity Export Pvt.Ltd.